9:12 PM Posted by Tony A. 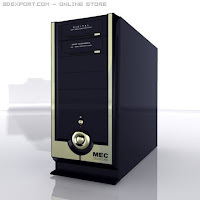 Computer Case Mec.Model made in MAX8 imported in MAX 2008. The .zip includes all files as .max, .fbx and .3ds.